The wider use of computer technology in the NHS is evident throughout the world, with many countries citing NHS projects as examples of good practice. This award will recognise an organisation that is responsible for implementing a ground breaking IT project that demonstrates clear cost benefits to the wider NHS. There are more than 600,000 people with epilepsy in the UK, and approximately 42 per cent of epilepsy deaths are preventable. 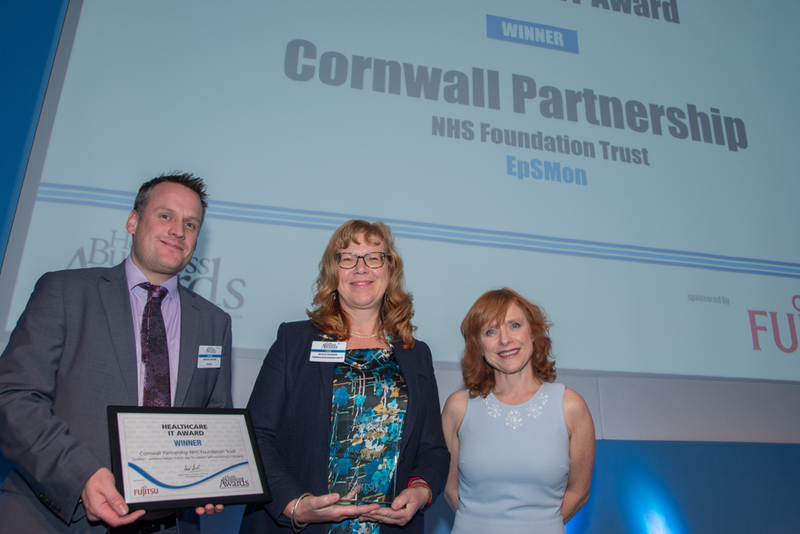 EpSMon, collaboratively developed between the trust, Plymouth University, Royal Cornwall Hospital Trust, SUDEP Action and UCL Institute of Neurology, is an evidenced based free app for smartphones and tablets. It works by providing a seizure safety checklist to support people with epilepsy, allowing patients to monitor their risk for free to keep themselves safer. It has already demonstrated improved communication, safety and reduced mortality within patients. The winning hospital's electronic medical records system has revolutionised the way referral paperwork and medical notes are indexed, routed and shared among clinicians and clerical staff. This has boosted efficiency, reduced costs, and ultimately, enhanced patient care.